I was asked over and over again how I made my headboard in my room. 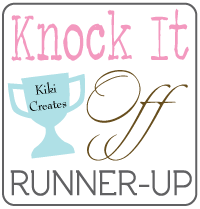 It really was a fairly quick and painless activity..one my husband and I whipped up in less than a night, and which makes a HUGE impact in our room. crown molding- choose whatever crown molding you like ..a 70 inch piece worked great for us. 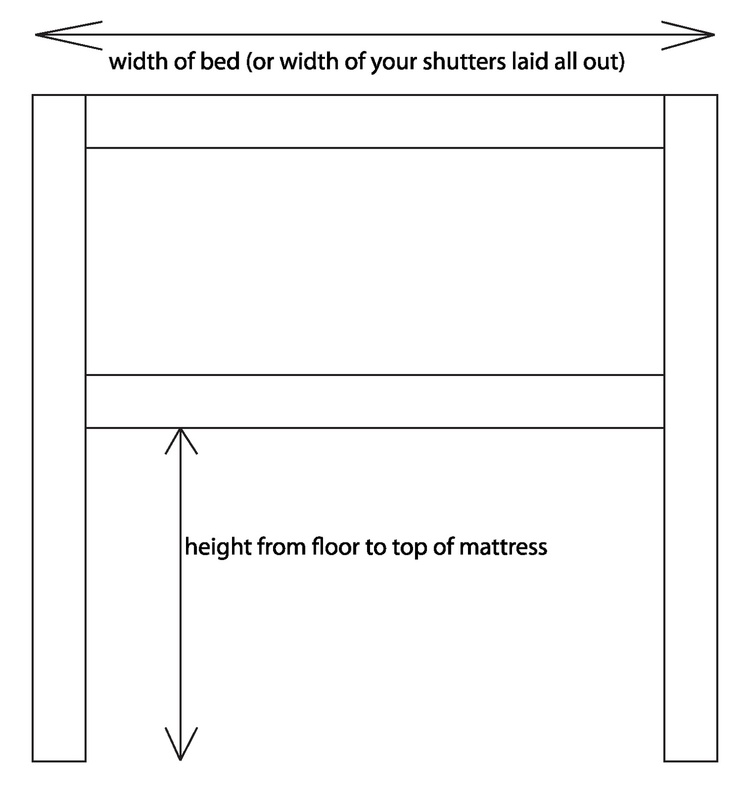 Instead of giving you measurements..I will tell you how we did this as I am sure all beds are different and your shutters my vary in size from mine. 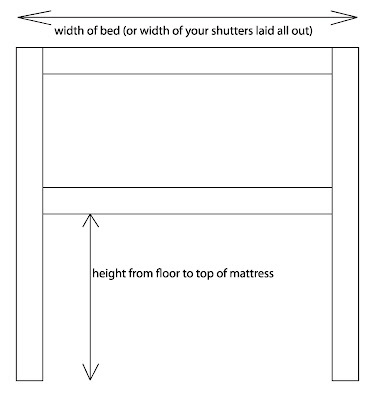 *width of bed...ours was 58 1/2..laying all four shutters out was 59 1/8. perfect. *height from floor to top of mattress. 4. 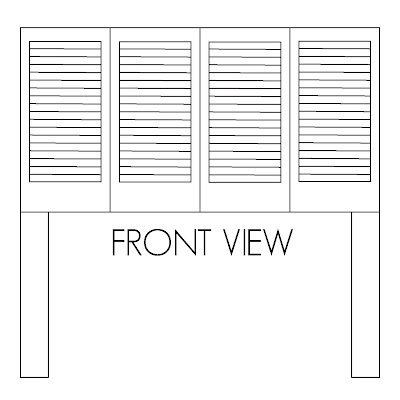 Next we laid out the shutters just like we wanted them and then flipped the shutters and frame over..make sure you face them all the same way! 5. 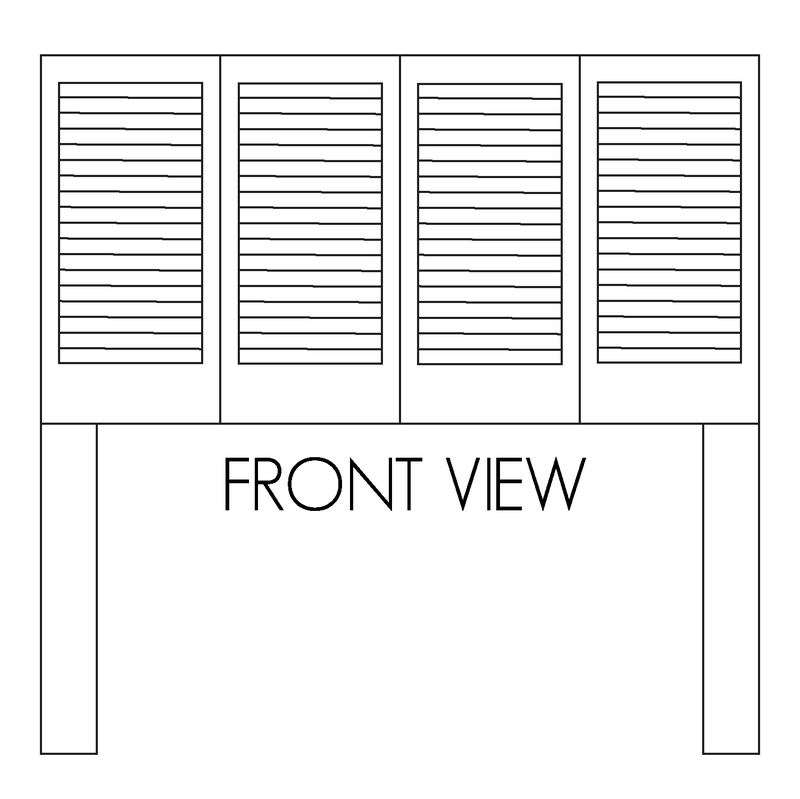 We used 1 3/4" screws to screw the frame and shutters together. They are sturdy! 5.Cut your crown molding. You can cut it just like a picture frame at a 90 degree angle..I chose to make mine more upright with straight cuts. We cut one front piece and 2 side pieces so it lays flat against the wall. 6. Attach the crown molding with finishing nails. see illustration. Putty the holes, sandpaper it down and you are ready for paint! 7. Paint- we used a flat black spray paint (flat paint tends to hide imperfections) and found it covered really well. 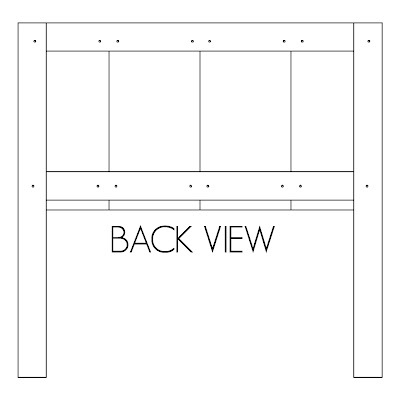 If you want to attach the headboard to your bed, you just need to measure where your bed frame has the holes to attach it..drill the holes and used nuts and bolts to attach them. 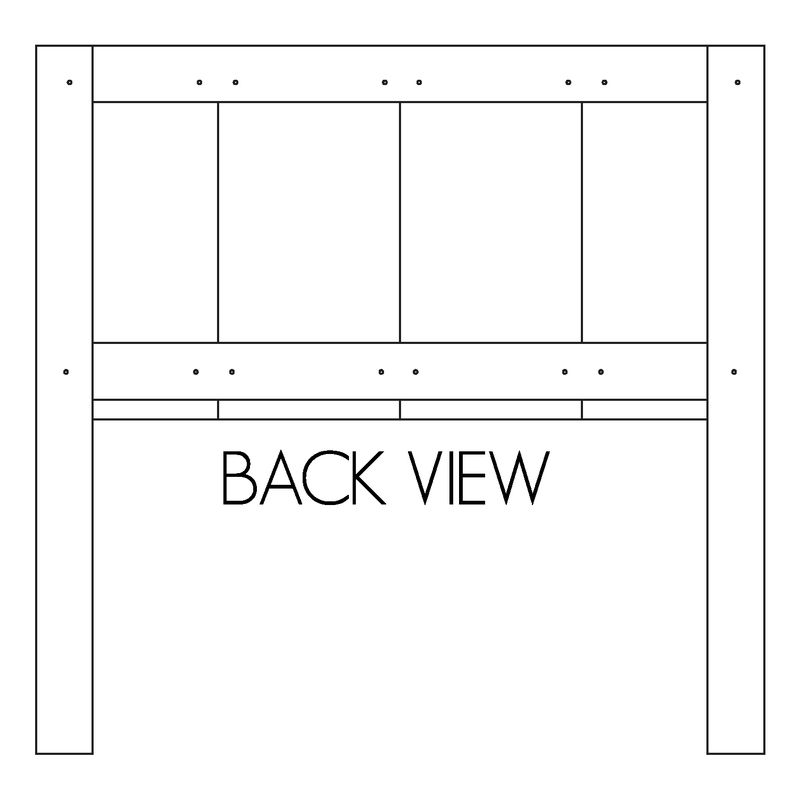 Have fun building your own headboard! If you liked this post...become a follower so you don't miss out on anything! 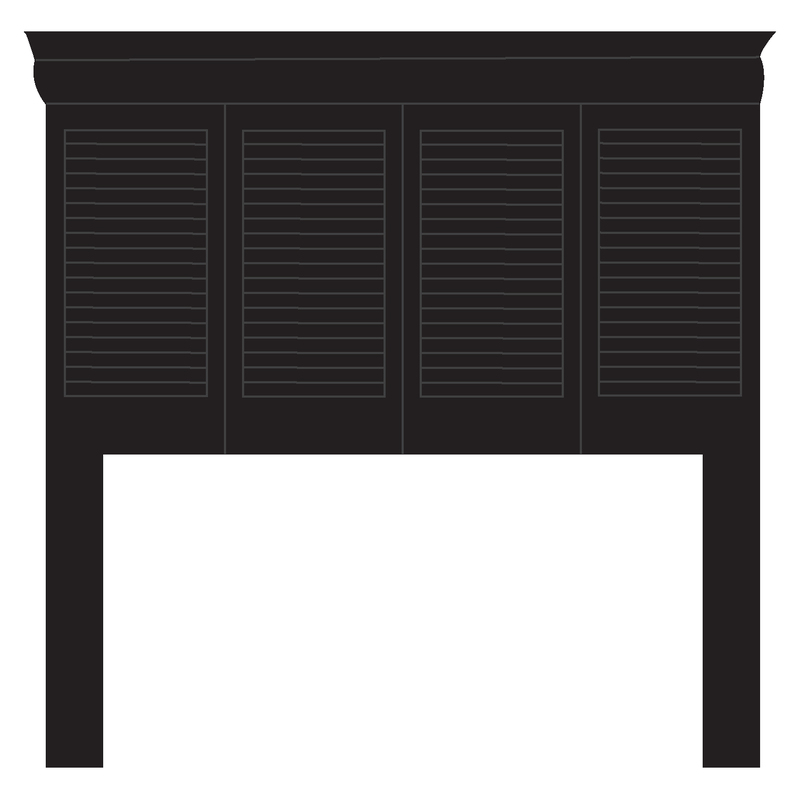 Where did you find your shutters? I have been searching high and low for the last three months because I have wanted to do something similar for my new king bed, but to no avail! I've checked the local Goodwill, Craigslist and salvage store... I think I just need to keep plugging away until I come across some! Adore, ADORE the headboard. And the spread. . . wow. You know what I'm thinking? The limit of 3 pictures on CWTS is sooooo unfair. The headboard is to die for! I just made a "fake" headboard and wow yours blows mine out of the water! 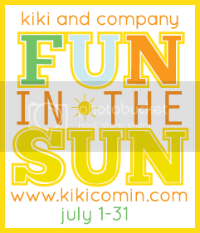 I am a brand new follower and I am so glad I found your blog, I am already in love! Have a fantastic Valentine's Day and I look forward to continue reading. You are so talented! Thank´s for share your talent out to the world. I just saw this project featured on Smile & Wave and I had to come and check out your blog. I LOVE these photos. The finished headboard looks fantastic and I really like the pops of colour on the bed. we are re-do our bedroom right now - and I think this might be our headboard solution! I love it! I have about a dozen of these that i was going to give away.... I'm thinking again now. This is fabulous!!! I saw that Rachel included you in her feature on Smile & Wave. 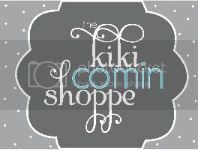 I love your blog & definitely want to give the headboard a try. Thanks for the tutorial! this looks great! I love a good headboard. Amazingly cute! 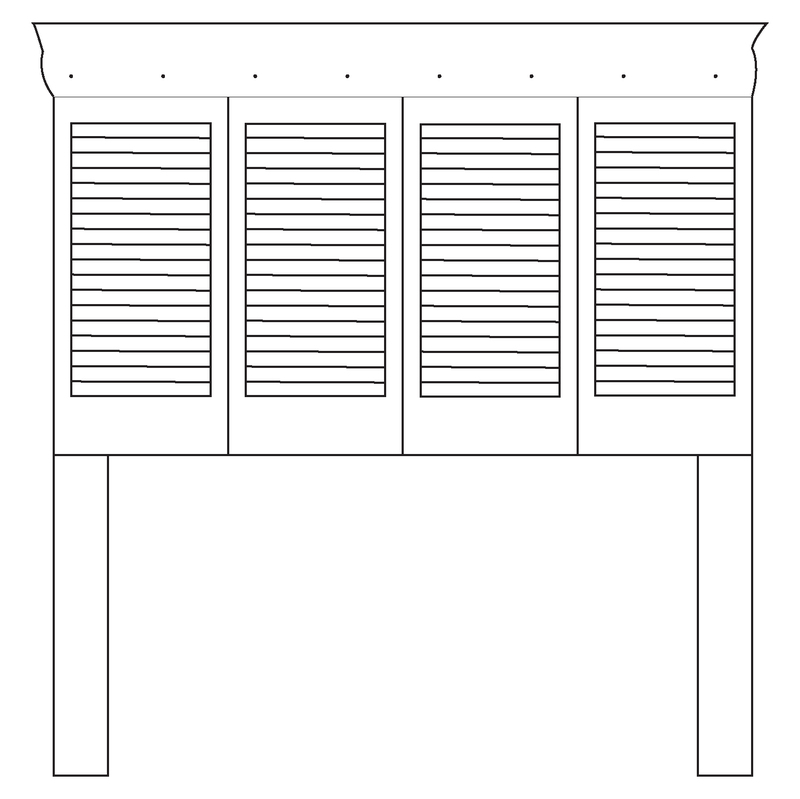 We have been looking for a headboard for our room, now I just need to talk hubby into making it! I would love to feature this on my blog Reduce, Reuse, Upcycle. It is awesome! I am so in love with this headboard. Thank you for sharing such a great idea! I reposted your pic on my blog: www.writingthislife.com and, am definitely making the headboard soon! Thank you! Love your DIY and wondering where the pillows are from?? Thanks for the sweet comments. The pillows I actually made. I will be doing a tutorial on a few of them coming up soon. Any certain ones you want to learn how to make? I want to learn how to make all of those pillows! The headboard looks amazing! I really also love the pillows. Wow! You are very talented, love all the stuff you make. 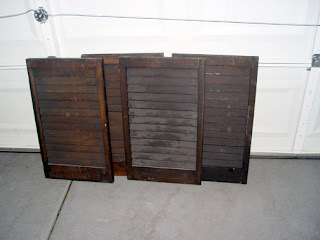 I am just wondering where you found your shutters, if you found them at a garage sale or if you bought them from a store? 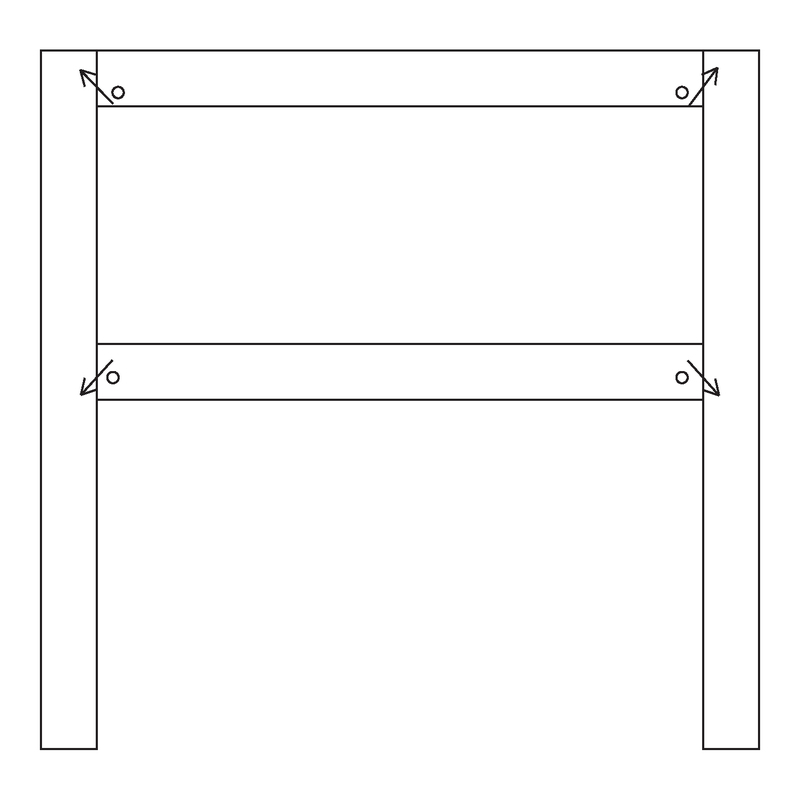 I understand using the 2x4's for the frame, but what are the 2x3's used for? Hey - I am really happy to find this. cool job! I have been wanting to make a headboard for a long time. I was fortunate that a friend introduced me to this website. I found wood louver shutters through Craigslist for $10 a pair. I bought two pair. 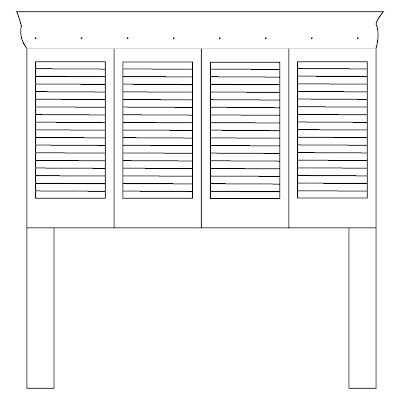 My father is a master craftsman at Furnitureland South and is eager to help me make this BEAUTIFUL and simple headboard. I saw that Wisteria asked this question....but no answer back. 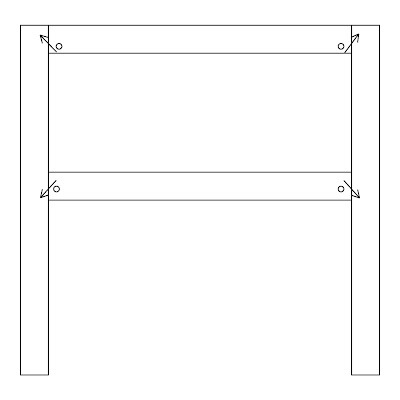 What are the 2x3's used for? My husband is making this Saturday and he is just driving me crazy about it! I think it will have something to do with a backing for the mouldings to hang on to....but only you really know....dish! Hi Amy in Bama, I hope that was a sweet way of asking me to answer your question! Yes, the 2x3's are used to form the frame for the shutters to be screwed into. The 2x3's are the pieces on the top and bottom of the shutters. Hope that helped. Thanks. Where did you find these shutters? Seriously, where did you get those shutters?